Haha, we never told you what we bought! Well let’s explain it with…(what’s better?) PICTURES! I peered in over her shoulder. Sure enough, it was an AG box. 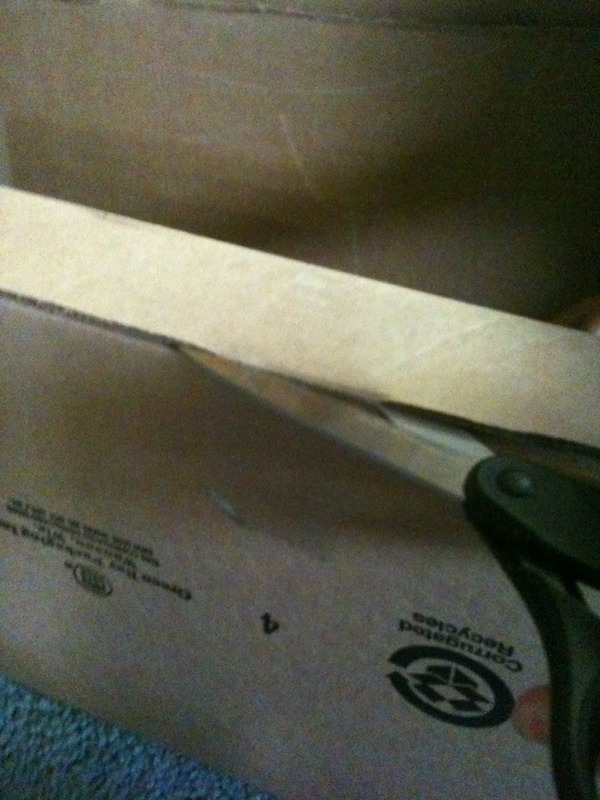 Carefully using the scissors to cut the tape closing the lid. Opening it to reveal another AG outfit box! It was an outfit, an OUTFIT!!! I wondered what it was. I screamed! It was Josefina Night Shift! 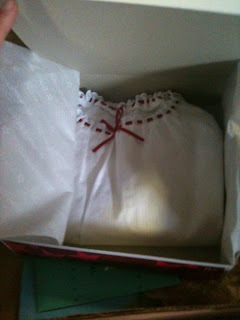 She’ll FINALLY have a night gown! She’s been wanting one ever since she’s been here, poor thing. 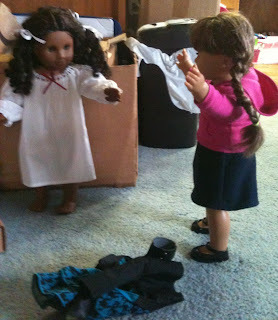 All she sleeps in is one of her camisa’s (her long, white shirt under her long skirt) Cecile wanted to try it on, to make sure it fit and stuff for Josie. I gasped, throwing my hands in the air. “You’re beautiful!” I cried. 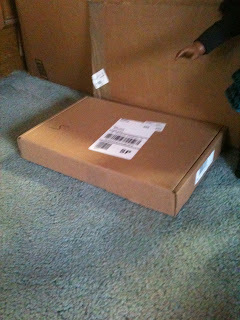 Mom clapped her hand over my mouth, whispering, “Shhh!” I nodded, giggling. An offer for a free AG trial magazine was in the box, along with some AG stickers and a catalogue! Are you excited for Josefina’s birthday? Marie-Grace:you look magnifique in the pjs, Cecile! You look magnifique in anything! Me:Cool! Your lucky to afford anything! i dont have ANY money! im gonna get an allowence on my birthday though. Madison: LOL! I bet you can’t wait for your birthday, I know I can’t. LOL. I know… I don’t want her to take them away!!! WAAH! LOLOL! Hey! This is Olly Molly from the BRC (I am also known as “Kara” in the real and blogging world) 🙂 Your blog is really cute and I will have to tell my sister about it since she is really into AG stuff. You can check out my blog if you want and again your blog is neato! Madison: Hi!! Thank you! 😀 I’d LOVE to check out your blog! I’ll ask my dad if I can! Natalie: Kaya, Addy, and I have to find something for our cousin Josefina’s birthday soon… It’s on the 19th. Maybe I’ll invite Kate and Jessie over to help us plan. I Cute! josie’s gonna love it! 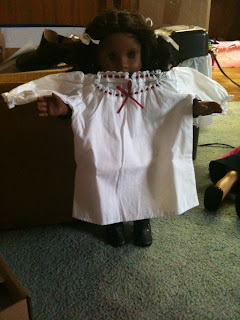 I have the girl sized nightgown that matches Josie’s! i would love the doll sized one so me and emily could match! 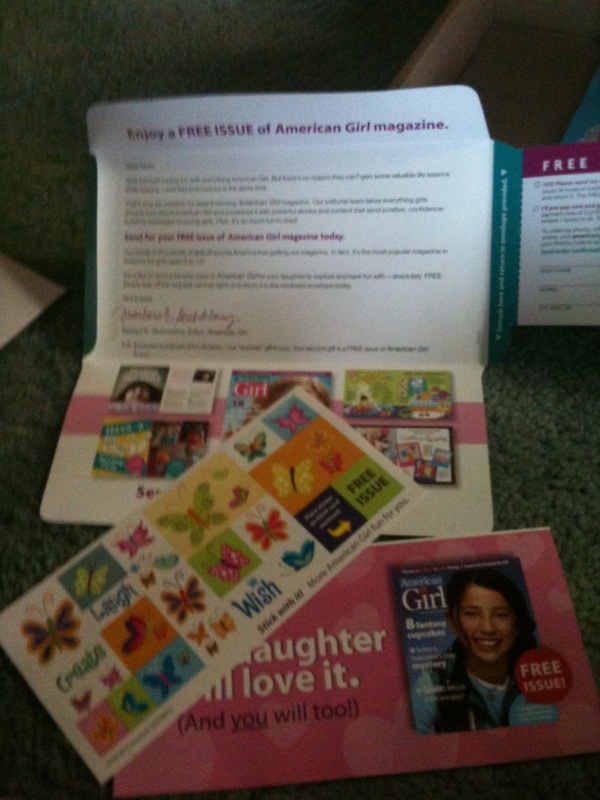 Josie’s Gonna be so excited! Cool! Happy birthday, Josefina! When I ordered from AG, I got those same stickers! Once again, thank you for stopping by and commenting! OopS! I meant to say Oh Cute! not i cute! sorry! So when are you dolls moving? i can’t wait to see what your new home looks like with all your stuff moved in! 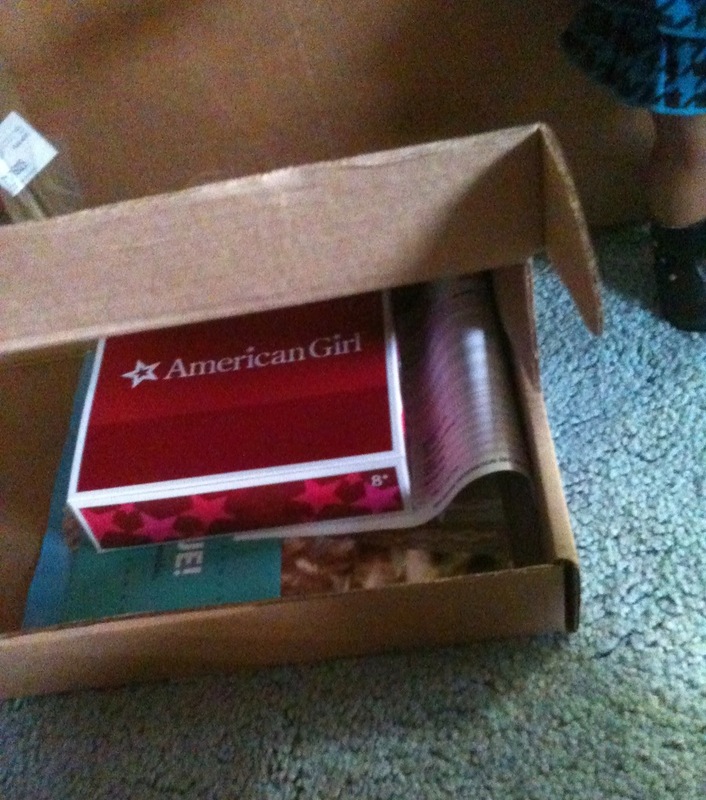 I got a new doll outfit in the mail yesterday to! Its the MAG weekend fun outfit! have you seen it before? it has cute pink sandals dark jeans cute long sleeved flower shirt and a cute whit vest and a pink headband! Emily loves it! i can’t wait till you give josie her new nightgown! LOL, that’s OK, we have plenty of ‘typos’ too! 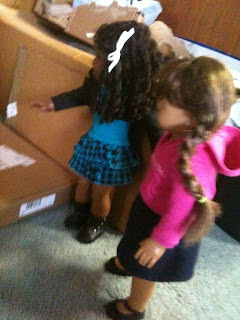 The dolls are moving in just a couple of days: We already have our closets and beds moved in! Now everything else..LOL! Oh, I think we’ve seen that one before, that’s SO cute! I bet Emily enjoys it, best wishes for both of ya’ll! Molly and Madison, with Josefina and Cecile! P.S. Cecile, you look FABULOUS.